Custom Embroidered Cooler Bags, Personalized in Bulk or Blank. Promotional, Inexpensive. 14" x 8" x 8": Could hold 12 cans. Budget Prices in the USA and Canada. Customized Cooler Bags with both shoulder strap and handles. We also supply wholesale blank (not imprinted) cooler bags. 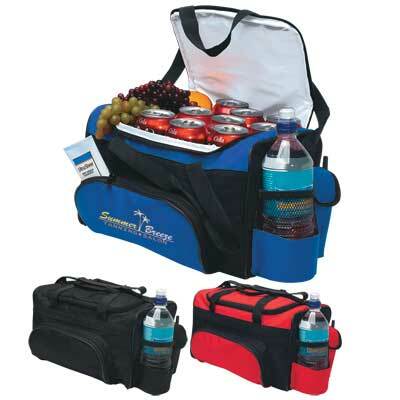 Budget Prices in USA and Canada for wholesale Customized Cooler Bags. American clients pay no taxes.